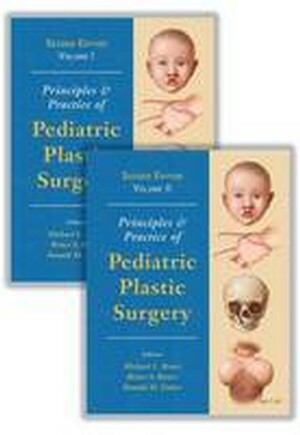 Principles and Practice of Pediatric Plastic Surgery provides exhaustive coverage of both common and rare congenital and acquired pediatric conditions. 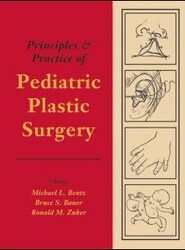 Covering the full spectrum of pediatric surgery, this is one of the most comprehensive books in the field. A wealth of information is presented for clinical decision making and for honing the skills required to restore form and function to structures marred by deformity, written by experts who lead the way in both research and clinical practice. Through their aggregated wisdom, this group of surgeons share detailed accounts of the techniques that are crucial for excellent results. Detailed text is supplemented with numerous photographs, illustrations, operative techniques, tables, and comprehensive references. An eBook with operative videos demonstrate the technical nuances of key procedures discussed in the book. With seven new chapters covering some of the most recent topics in the field, such as global health issues and alveolar bone grafting, this invaluable reference covers the latest advances in pediatric surgical theory, technology, and technique. Pravin K. Patel, Henry K. Kawamoto, Jr.